Is this your favorite Valentine’s pattern so far? 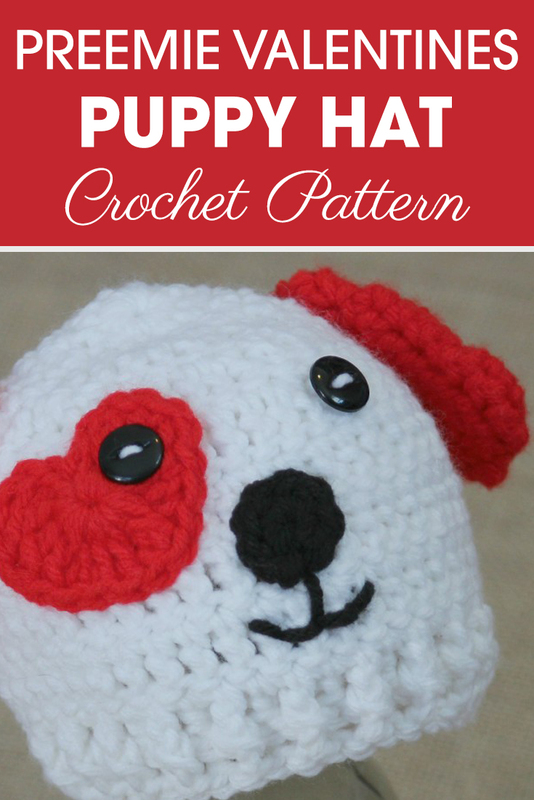 It’s my favorite; I love this Preemie/Newborn Valentine’s Puppy Hats pattern! With red yarn and a yarn needle. There should be an opening at the top. Stitch the ears on at the opening, make sure to stitch through both sides of the ear. With black yarn and a yarn needle. Attach the nose in the middle front of the hat.